Looking to break into the free to play Diablo style game, Path of Exile? If you've dipped your toes in and are looking to access some of the premium features like pets, weapon effects, and more but haven't felt the urge to drop cash - Amazon has a deal that should help make supporting the game a little easier. Right now you can get blocks of points discounted 15% off their normal going rate. Curious how Path of Exile plays? How it utilizes the free to play mechanic? We've got your covered with our overview. 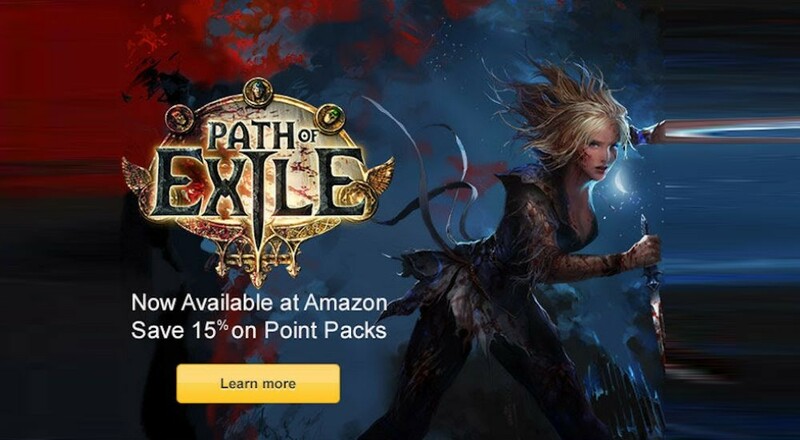 You can play Path of Exile through Steam or download it from the official website. Page created in 0.3549 seconds.